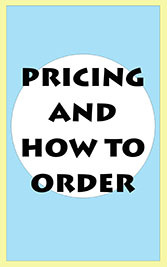 Click here when you are ready to order. 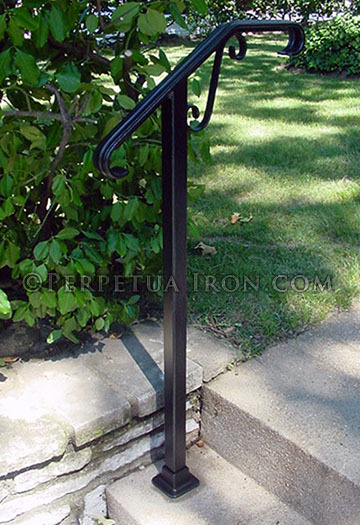 One post rail for one or two steps. 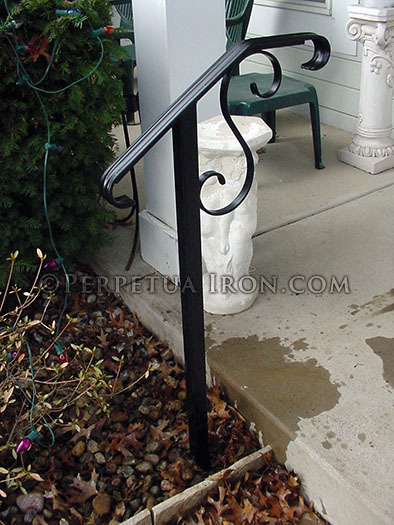 One post rail in two parts for one or two steps. 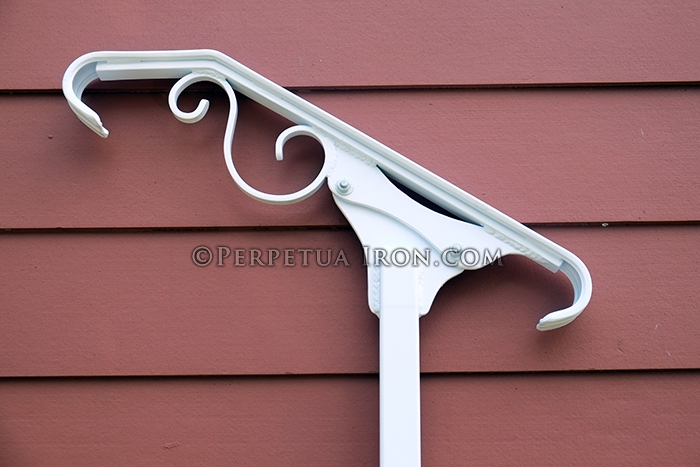 Detail shows two parts of rail and bolts. 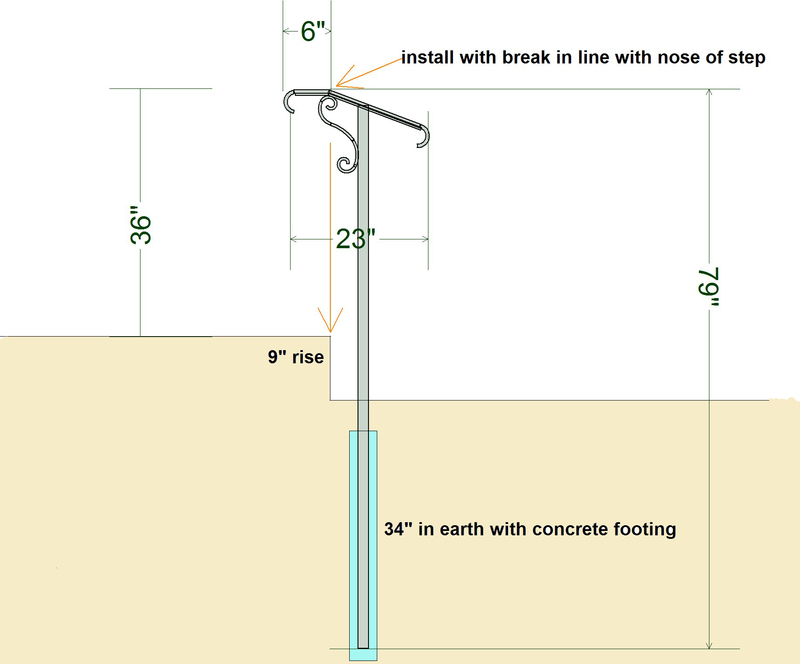 An example of a 24.1 railing installed in concrete via core drill. 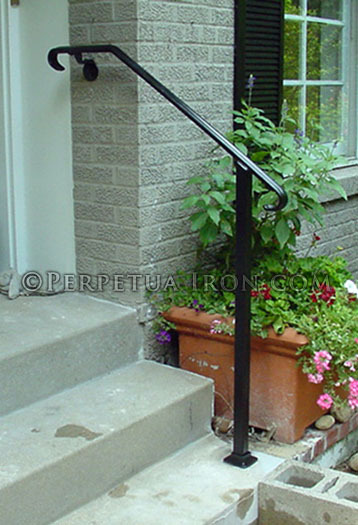 An example of a 24.1 railing installed in earth. 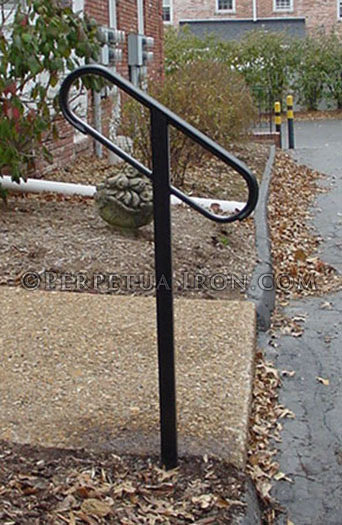 An example of a 24.1 railing installed in earth with a concrete footing. 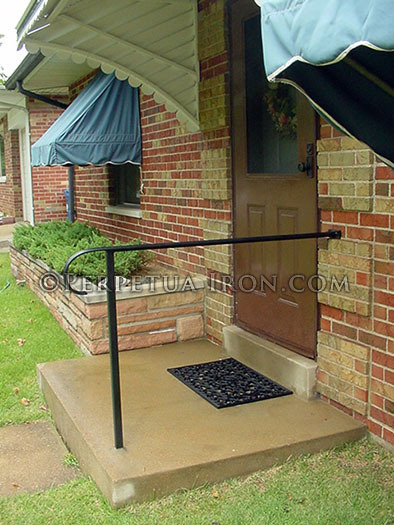 An example of a 24.1 railing installed via bolt down shoe and attachment to wall. 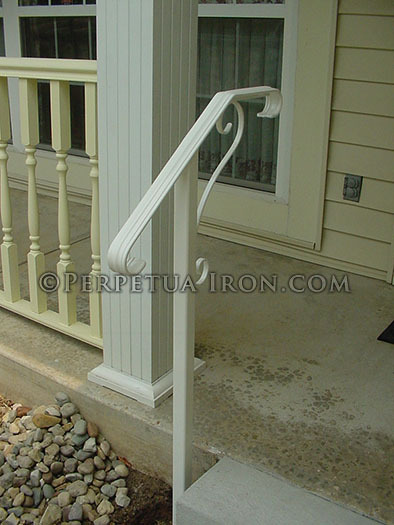 Simple one post rail designed for a one step porch. 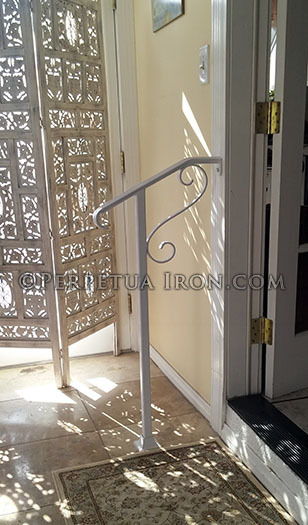 Simple railing for interior application on two steps. 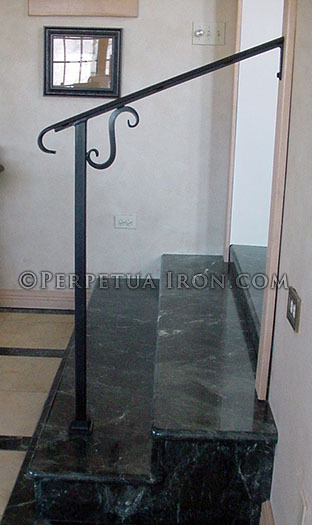 A contemporary one post rail design with continuous handrail. 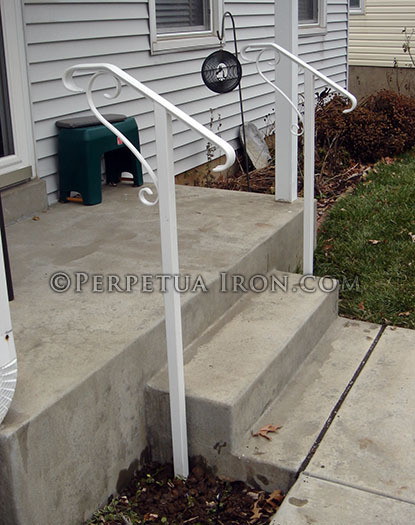 Simple one post with handrail only for 3 steps. 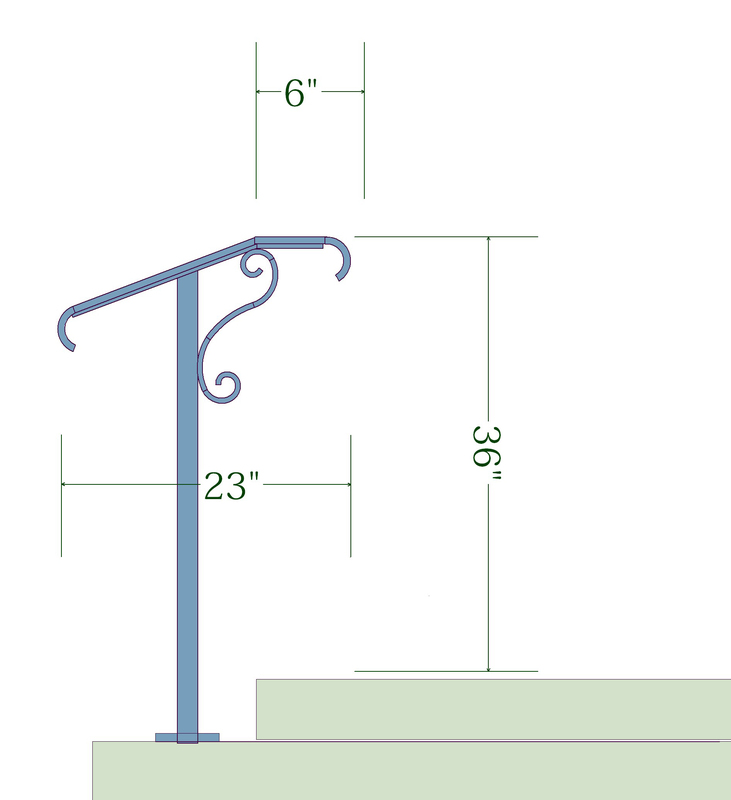 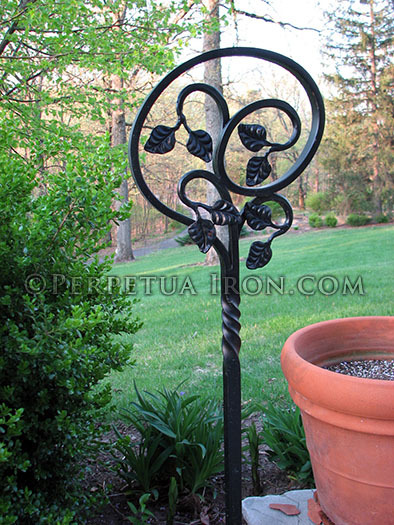 Imaginative development of a one post railing.